Penultimate episodes of a Game Of Thrones season often pack a bigger punch than its finales; just try to compare the visceral reactions of Ned Stark’s beheading in the first season and the Red Wedding in the third with what happened in their respective season closers. Of course, these big moments aren’t always of the murder-kill-gore variety; in season five, that climax before the end is all about forging stronger ties between two fan favorites. “The Dance Of Dragons,” which gets its name from the book about the Targaryen civil war that Shireen (sob) is reading when her father Stannis comes in to say goodbye to his unsuspecting daughter, is just as much about the usual plotting and bloodshed as it is blood being thicker than water (or whatever the Westerosi equivalent is). The episode also highlights Daenerys’ own slide into paternalism/maternalism, after swearing that things in Meereen and the other former slaver cities would be different under her rule. Like Stannis, Daenerys believes she’s destined for greatness, but they differ a bit in just what they’ll do to achieve it. Dany draws the line at seeing men kill each other for sport, but at the nudging of both Daario and former slave trader turned confidante Hizdahr—and against her new friend Tyrion’s advice—she reinstates that cruel tradition. The games are a cover for another assassination plot, which Jorah once again manages to foil, however briefly. Soon, she and her allies, including Daario and Missandei, are surrounded in the arena, where it looks like the khaleesi will meet her end. 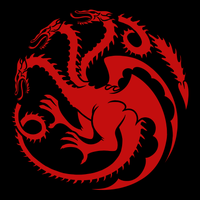 This wouldn’t be a “Dance Of Dragons” without at least one of Dany’s winged children, though, and Drogon shows up in the nick of time, burning or chomping on dozens of the Sons Of The Harpy in defense of his mother. They get in several good hits, though, and Dany realizes she has to get Drogon out of there or lose him again—this time, for good. 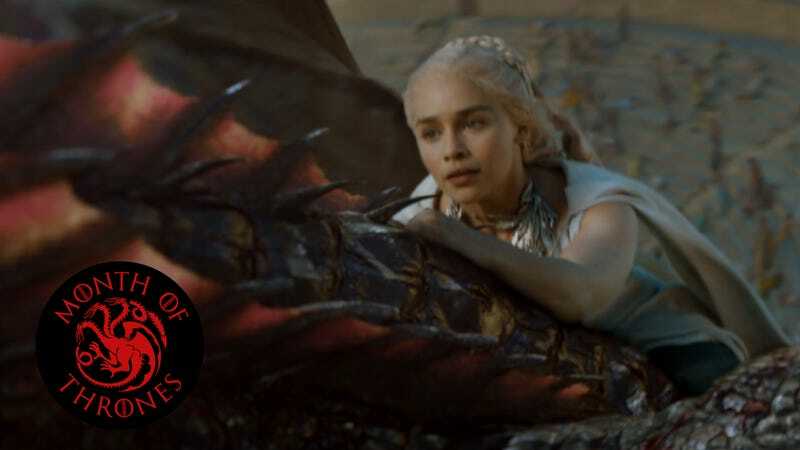 Dany had already demonstrated some control over her dragons, but there’s still plenty of suspense in watching her stare down a roaring Drogon before climbing on his back. She gives him a command in Dothraki—“Valahd,” which means “horizon”—and the two fly off towards the season finale. The whole sequence is pretty impressive—great use of the budget there, Benioff, Weiss, and Nutter—and Daenerys proves herself a dedicated enough parent, but she’s still a far cry from being fit to rule over the Seven Kingdoms. As she’s made her way to Westeros, it’s become increasingly clear she doesn’t have much of a plan beyond claiming what she believes to be hers (this mirrors George R.R. Martin’s own issues with writing his way out of “the Meereenese knot”). If Dany wants to sit on the Iron Throne, she can’t very well govern over every other city she frees as part of her Slaver’s Bay campaign, but she also understands that she can’t move on from Meereen while the ousted ruling class tries to reclaim what they believe to be theirs. Dany may have nobler goals—or at least, believe she does—but she shares Stannis’ and the masters’ sense of entitlement. Even though the city is in turmoil, it’s probably for the best that she and Drogon leave so she can figure out what it means to be a fair and just ruler. Prince Doran doesn’t care about #JusticeForOberyn—he’d rather have a slightly uneasy alliance with the Lannisters and a seat on the small council for his son. Ellaria is made to swear fealty to Dorne’s prince and forget about avenging her lover, as the Sand Snakes play silly games with each other in a cell across from Bronn’s. Arya encounters Meryn Trant in Braavos, which throws a considerable obstacle on her path to becoming no one. And goddamnit, as we hinted at above, Stannis becomes an unrepentant monster, sacrificing his only daughter for his own glory.